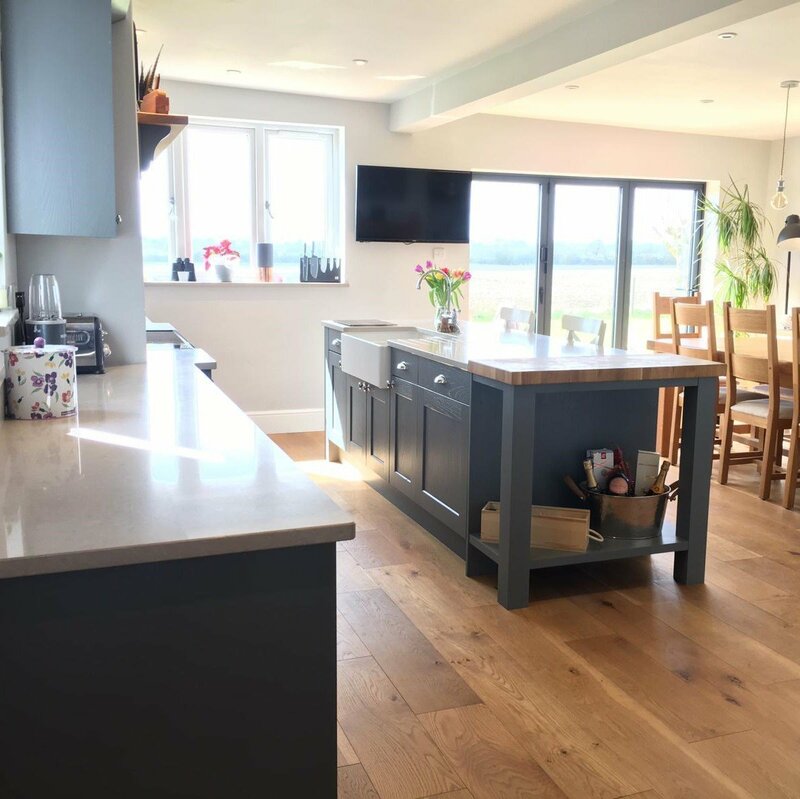 Traditional country kitchen in Buckinghamshire, with a warm homely feel. 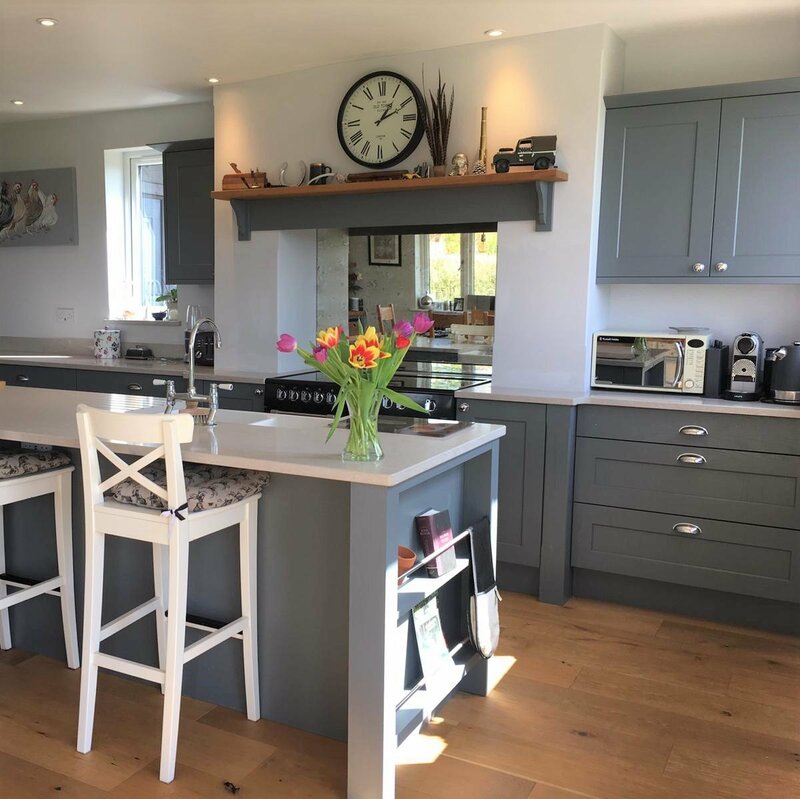 This Castle Grey Bridgewater kitchen has a traditional style, while feeling light and spacious with contrasting Clamshell quartz work surfaces. Natural oak elements including the butcher’s block and mantle shelf bring warmth to the room, tying in beautifully with the client’s own floor. 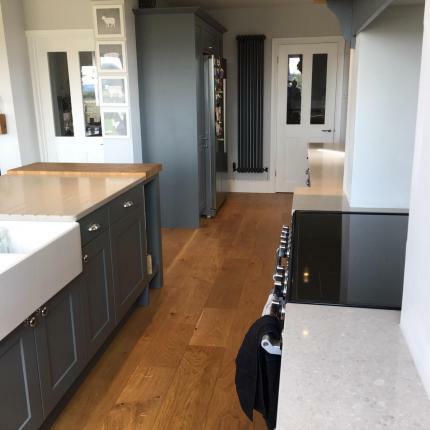 The design features a Belfast ceramic sink in the island, with drainer grooves in the quartz. This kitchen is the heart of the home, with the breakfast bar and dining area creating a great family space. 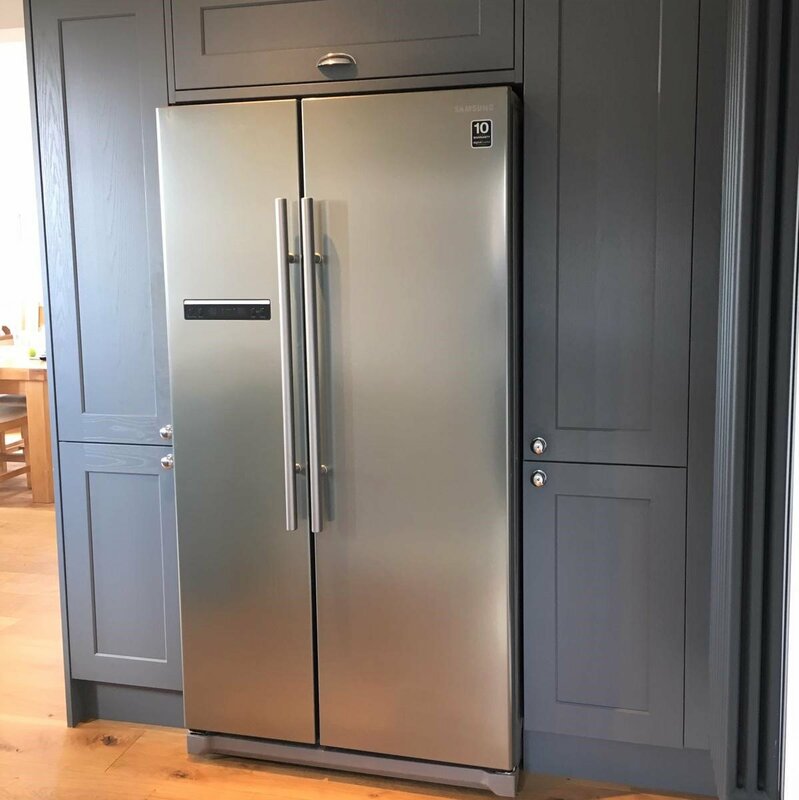 The client’s American fridge/freezer is incorporated into the design with cupboards built around to fit.